Weekend Wrap: NASA 4K video, Spotify update, B&O speaker and more | What Hi-Fi? Bang & Olufsen has made another addition to its rose gold Love Affair collection. 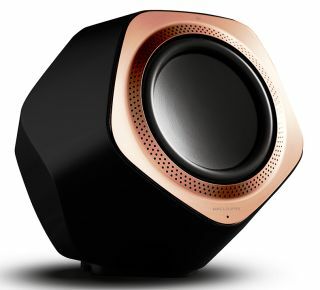 This time, it’s the turn of the BeoLab 19 wireless subwoofer to be given the rose gold treatment. The sub can be wirelessly paired with B&O’s BeoVision Avant TVs, the BeoVision 11 speaker, BeoLab Transmitter 1 or any WiSA-compliant TV or receiver. NASA has started uploading videos to YouTube in 4K Ultra HD. The first video posted to the ReelNASA account was a 20-second teaser trailer. But now there’s a four-minute video, shot from the International Space Station. NASA says the videos will "provide new insight into the vast array of experiments taking place every day". And more to the point - it's some amazing 4K content from space. The E3 gaming convention in Los Angeles this week saw Microsoft announce that the Xbox One will now be backwards compatible with Xbox 360 games. The feature is currently available in Beta, but will receive a general rollout in the Autumn. Digital games you own that are backwards compatible will show up in the “Ready to Install” section on the Xbox One. Supported disc-based games can be put into the console and installed to the hard drive, but the disc will need to be kept in the console to play it. Only 21 games are supported at the moment, but more will be added over time. A full list of games can be found on the Xbox website. Spotify has introduced a new feature called Rewind that will curate a playlist of songs from previous years, based on artists you've saved. You get to choose three artists you like, and Spotify will do the rest, giving you songs from the 60s all the way through to the 00s. You can then opt to save the playlists created. British cable manufacturer Studio Connections has announced a new Platinum Series of stereo interconnect cables. Touted as being “high performance cables for people who love music”, the cables are hand-made in the UK, and are “perfectly balanced”. Studio Connections says they deliver “a highly tuned and consistent audio performance” and “bring out the absolute best in an audio system”. A 1m single-ended Platinum interconnect will set you back £2000, while a 1.5m version costs £2700. German manufacturer Binauric has taken to Kickstarter to seek funding for OpenEars. The in-ear headphones claim to record binaural, 3D audio, by having microphones built-in to the headphones. Binauric says the benefit of this is that it removes the need for a separate binaural microphone, which attempts to recreate the shape and density of the human head. By allowing users to place the microphones in the right spot for their hearing, they’ll record more lifelike sounds. That's the theory. A HearThrough function allows users of the Bluetooth headphones to hear sounds around them, while still listening to music. At the time of writing, the project has raised just under €50,000, of €125,000. You can pre-order a pair, with prices from €99.